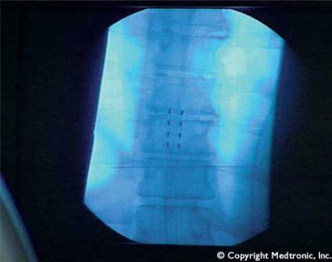 Spinal cord stimulation is an effective treatment in patients with otherwise untreatable pain, mostly due to severe degenerative changes of the spine. 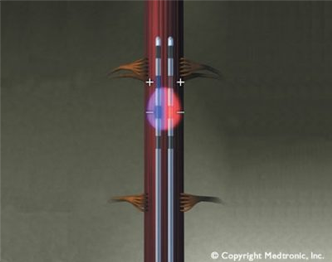 Nowadays it is performed effectively in cases of severe angina pectoris. 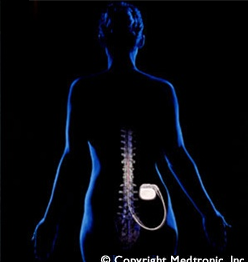 An electrode is implanted in the spinal canal and test stimulation is performed for several days. 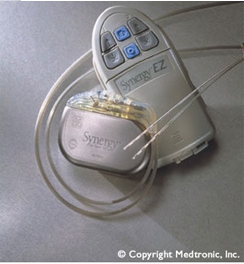 When pain reduction is effective the impulse generator will be implanted.